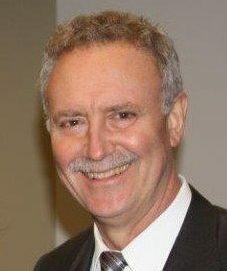 Prior to becoming President of the Company in 2009, Douglas G. Waybright served as Executive Vice President and Chief Operating and Financial Officer, and became Treasurer in 2016. Mr. Waybright, who has been with the Company for over thirty years, holds a Bachelor of Science in Economics from Amherst College, a Masters in Business Administration from Bentley University and a Masters Graduate CertIficate in Accounting, also from Bentley University. Prior to his tenure at The Nelson Companies, Mr. Waybright worked for the Beacon Companies as Budget Director for its residential and commercial properties. Mr. Waybright is a registered Real Estate Broker, a Notary Public, and belongs to several real estate organizations including The Greater Boston Real Estate Board. Mr. Waybright serves on the Boards of numerous non-profit business organizations including the Waltham West Suburban Chamber of Commerce, where he also serves on its Executive Committee, the Waltham Tourism Council, the 128 Business Council, The Downtown Waltham Partnership (DWP), The Better Business Bureau and the Charles River Museum of Industry and Innovation. Mr. Waybright serves as President of the 128 Business Council, Vice President of DWP, and Treasurer of the Charles River Museum of Industry and Innovation. Mr. Waybright also serves on the advisory boards of several social services non-profit organizations, including More Than Words, REACH Beyond Domestic Violence, WATCH CDC, and the Waltham Land Trust.